Don’t believe everything you hear about cosmetic dentistry. Myth #1. It is never necessary. 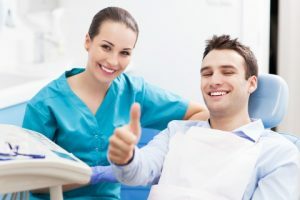 Cosmetic dentistry has a reputation for being strictly aesthetic, but there is more to the story than just how it makes you look. In fact, most cosmetic produces are not to just improve looks, and many of them help to correct problems and prevent future problems from occurring. One great example of this is a dental implant. Not only does a dental implant fill in your missing tooth and renew your smile, it also prevents bone loss from occurring. Myth #2. It is too expensive. Believe it or not, we make dental care affordable for everyone. Having goal of what you want for your smile and a plan of how to get there is the first step. We can help you find ways to fit this care into your budget and maximize insurance benefits that you may have. Learn the truth about more cosmetic dentistry myths when you stay tuned for our next blog.